After our two hours of paid parking at Sanibel Island's Lighthouse parking was up (parking there is $4 an hour), we headed to the J.N. 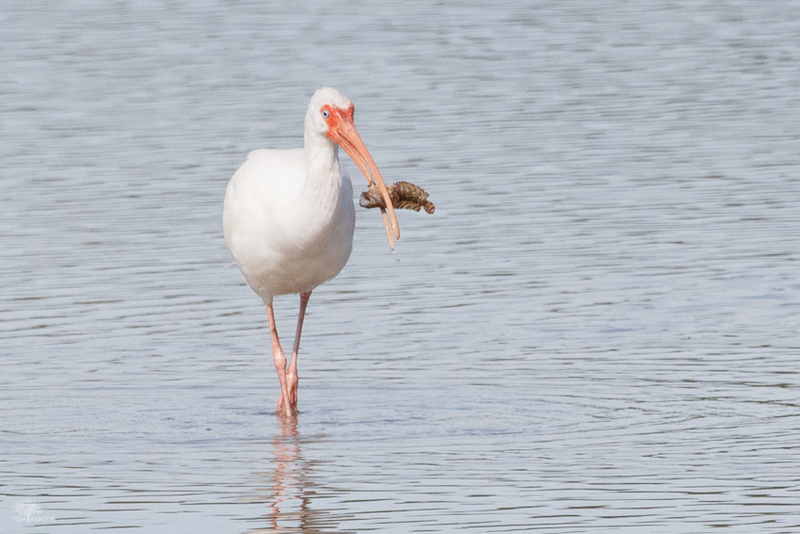 Ding Darling National Wildlife Refuge's Wildlife Drive. The birding got better as the tide dropped throughout the day. Or fighting... I assume these are two males. I've never had the pleasure to photograph this behavior before. 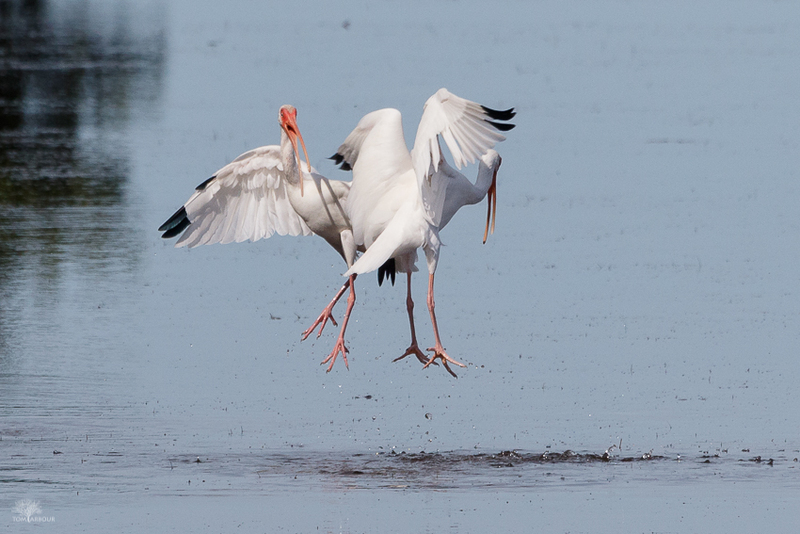 These two engaged in mid-air combat for about a minute, with the bird on the left eventually chasing the other individual off. 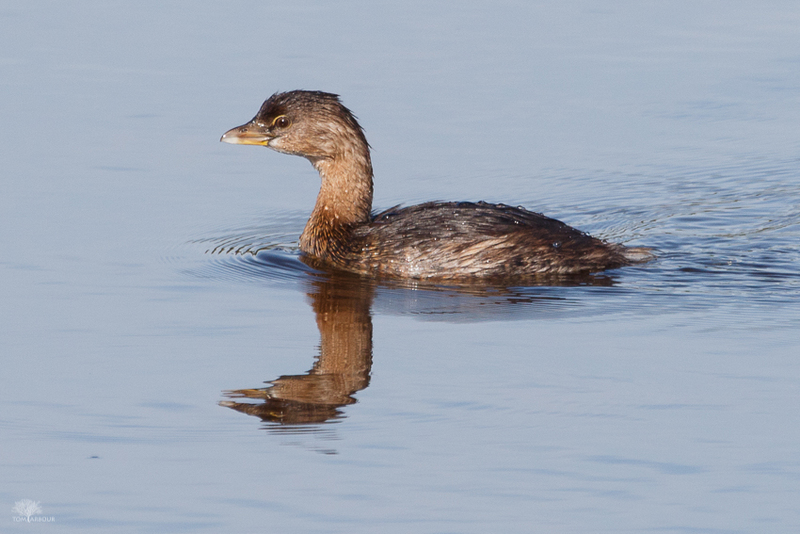 Pied-billed Grebes are frequent in most still water bodies in southwest Florida. This was just one slice of a massive bird panorama. 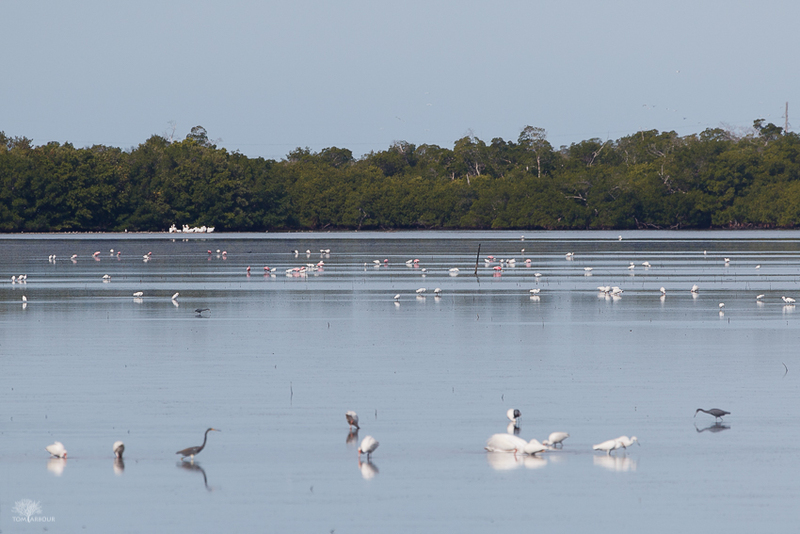 I estimate there were over 1000 white ibis, herons, egrets, and roseate spoonbills. Truly a magnificent sight. 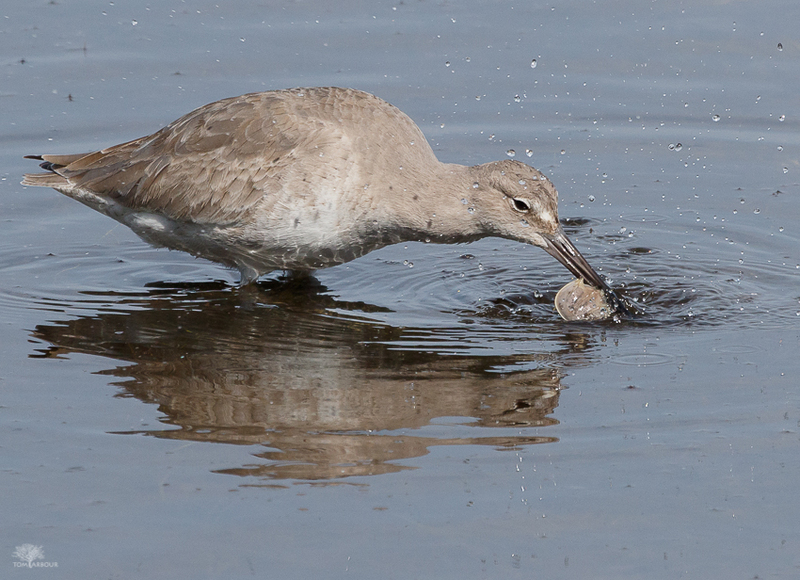 Willets are another bird that I have photographed quite a bit, so I turn my camera to them in situations where they're showing interesting behaviors, like eating a small horseshoe crab. 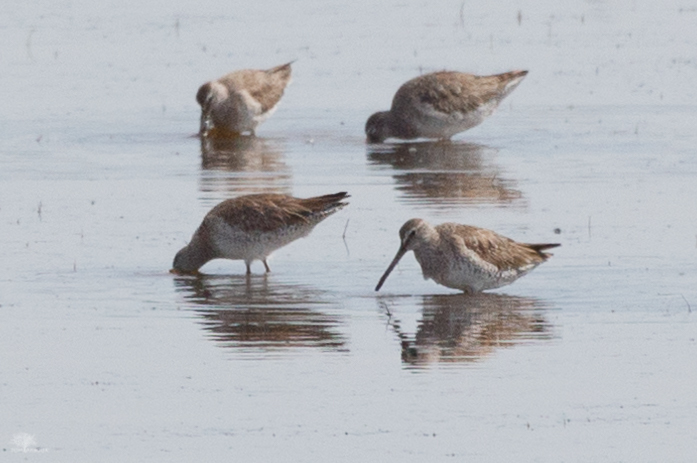 Short-billed Dowitcher? 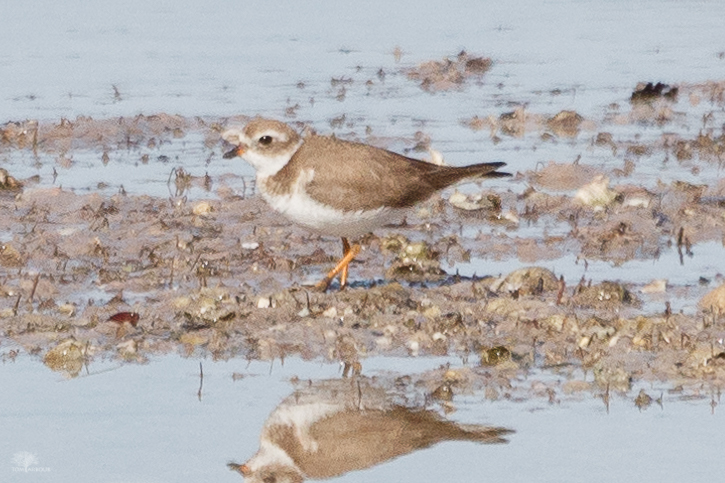 I'm going solely on Sibley's advice that they occur mostly on tidal flats, as opposed to the Long-billed Dowitcher preference for freshwater ponds. Surprise! 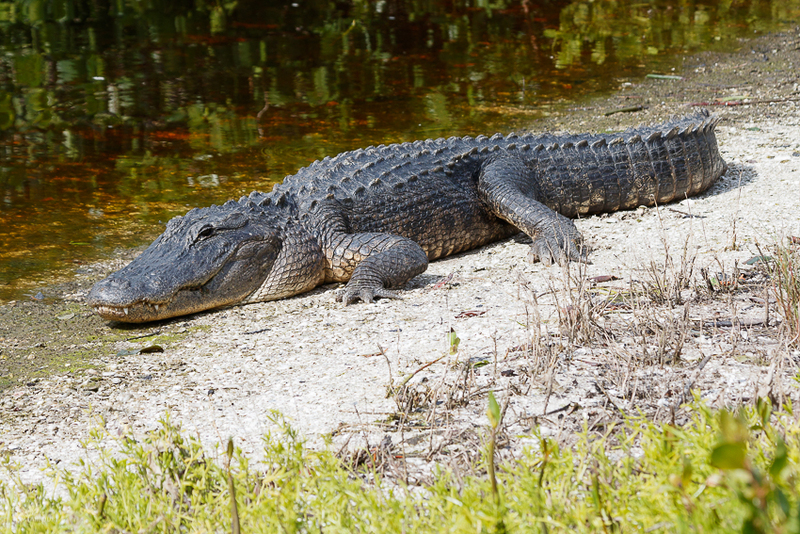 This large, awake American Alligator was being guarded by a refuge volunteer. He didn't want anyone going too close.